Blooming April in my yard. It is April, beautiful April in my backyard. When I walk into my garden, I know that no matter what goes on in Washington, D.C., I have this patch of peace, of paradise, to turn to. And there is so much promise out there, now, beckoning. Cherries, apples and blueberries are in full bloom! Apple trees in full bloom. 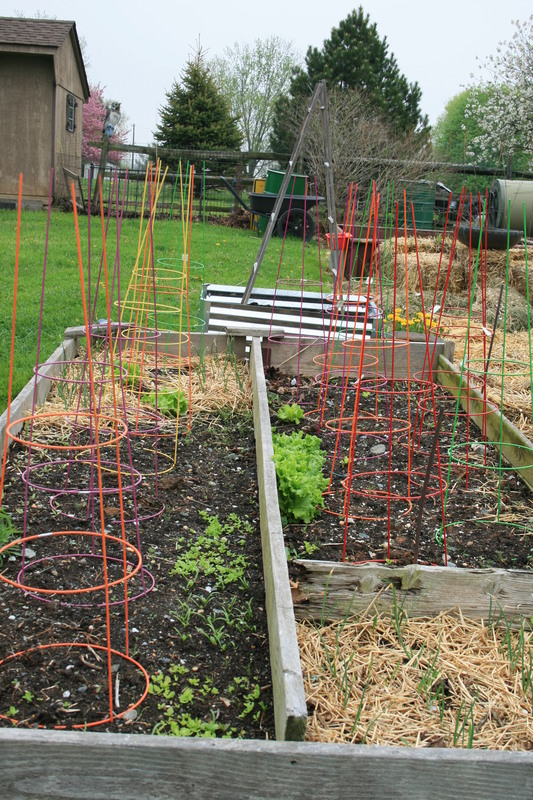 Onions are rising straight up out of the dark soil and straw that make their beds and baby beets, lettuce and spinach are sprouting, everywhere. 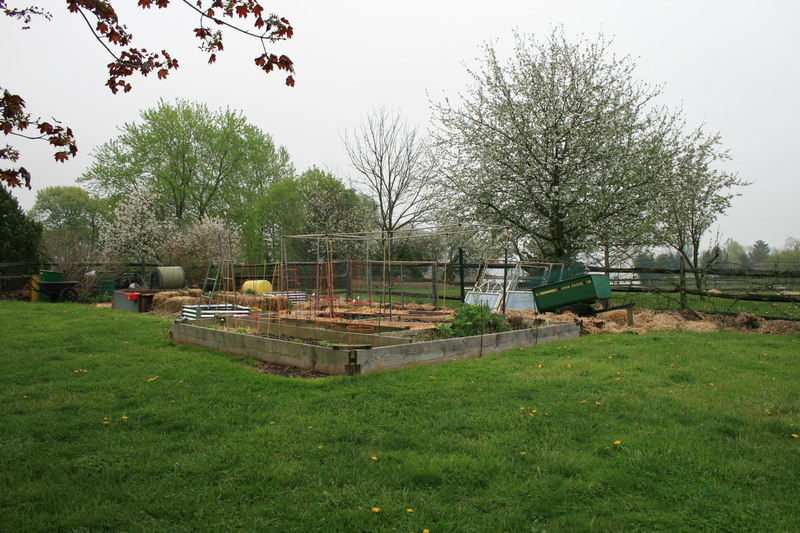 Onions, lettuce and spinach growing in April. So why is April the cruelest month for gardeners? 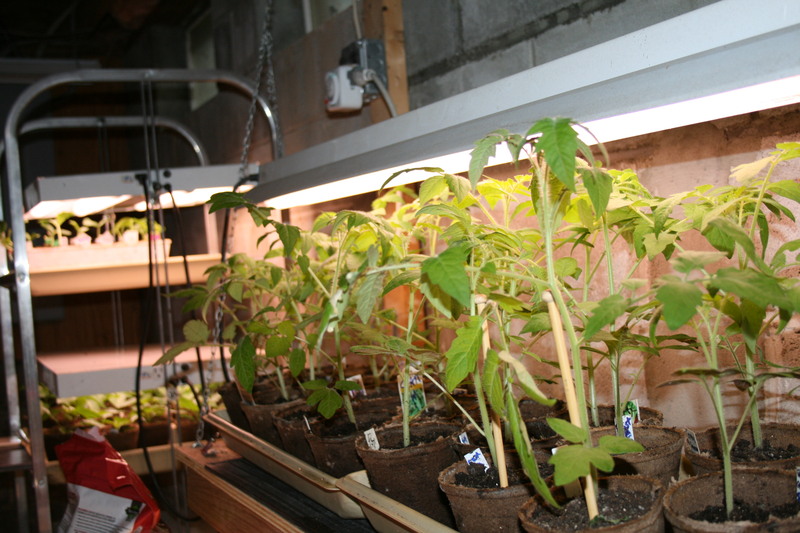 I have 20+ tomato plants in my basement, hard by 20+ sweet peppers, varying varieties begging to be planted. Tomatoes and peppers in pots. Eggplant are rising up in their cells, growing taller and stronger every single day. Raised from seed, started in early February, lovingly cared for, they are so tall, so hardy looking, so ready. My fingers itch to set them out in the deep rich soil I have prepped for them. But I can’t. If I put them out now, they will flounder; they will stop growing. They will be delayed in both flowering and fruiting. Why? The days are warm; we’ve already hit the low 80’s a couple of times. But the soil is still too cold as are the nights. Setting Mediterranean plants in cool Pennsylvania soil now would mean later, smaller harvests of tomatoes and quite likely no harvest of either peppers or eggplant. 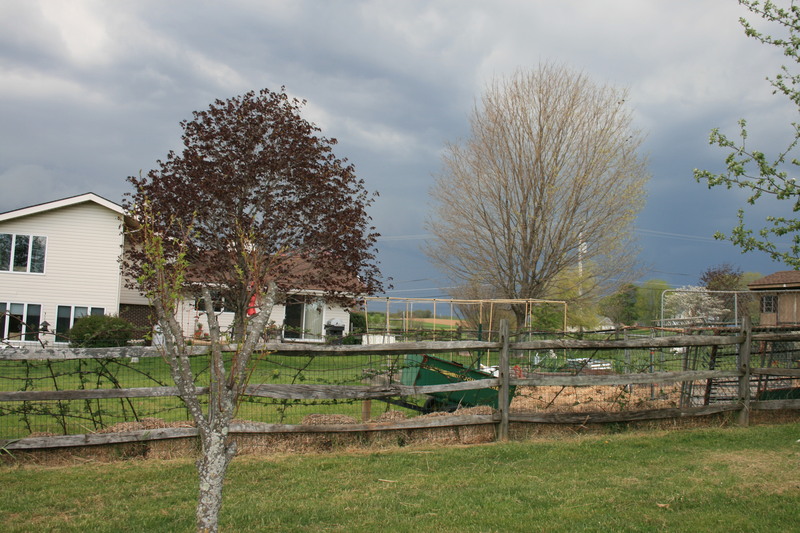 So, like all the gardeners everywhere who are poised to plant in April, I wait for the warm soil and soft breezes of mid-May when I fill all these beds with the plants I have been spending time with, worrying over and feeding for 3 months. Spring list of things to do! Got a lot of energy now that Spring has sprung? Looking for some ideas for a little outdoor fun? Your backyard is waiting and Eartheasy has the perfect list of ways to spend some sweet hours in the dirt! when it’s dry enough, ‘top dress’ beds. 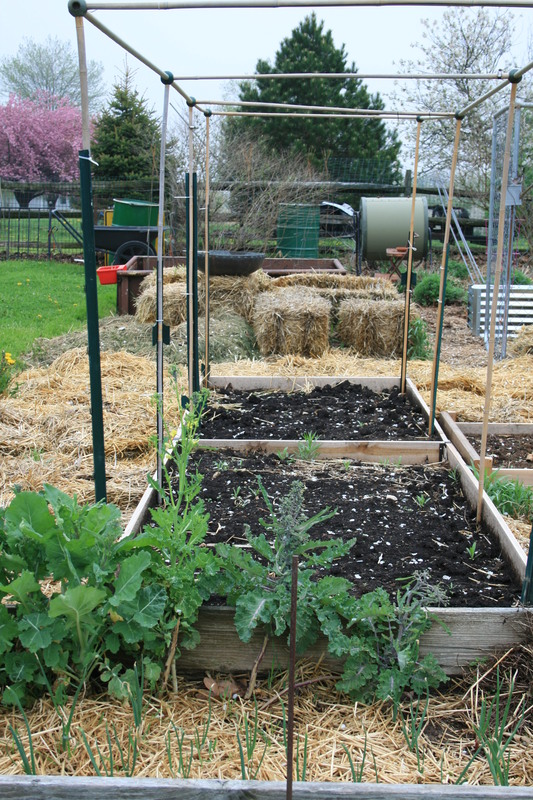 Top dress garden beds with compost or well-seasoned manure in preparation for planting. Resist the urge to dig the bed; established beds have a complex soil ecosystem which is best left undisturbed. Nutrients added from the top will work their way down into the soil. protect seedlings from hard frosts. Early spring plantings are vulnerable to hard frost which can set in overnight. 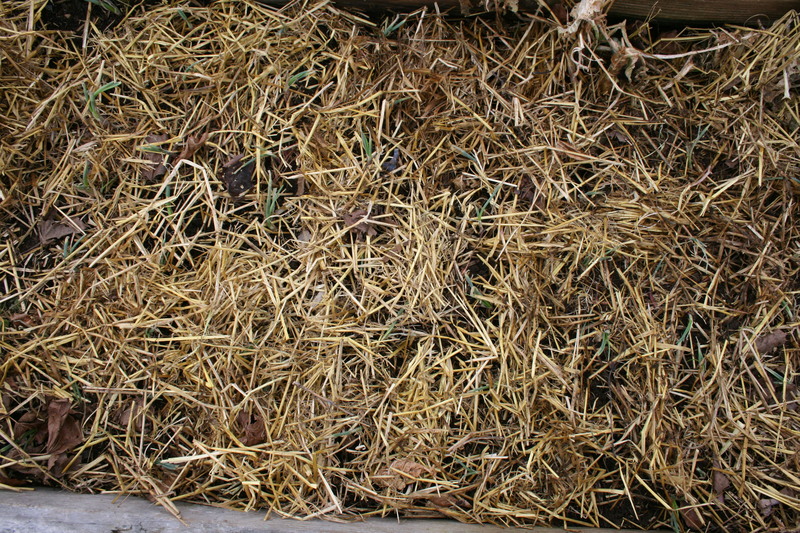 If you expect a hard frost, cover seedlings overnight with anything you have on hand – an overturned bucket or cardboard box (with a rock on top) or large flower pot, a portable garden cloche, or a cold frame. I use old bushel baskets. 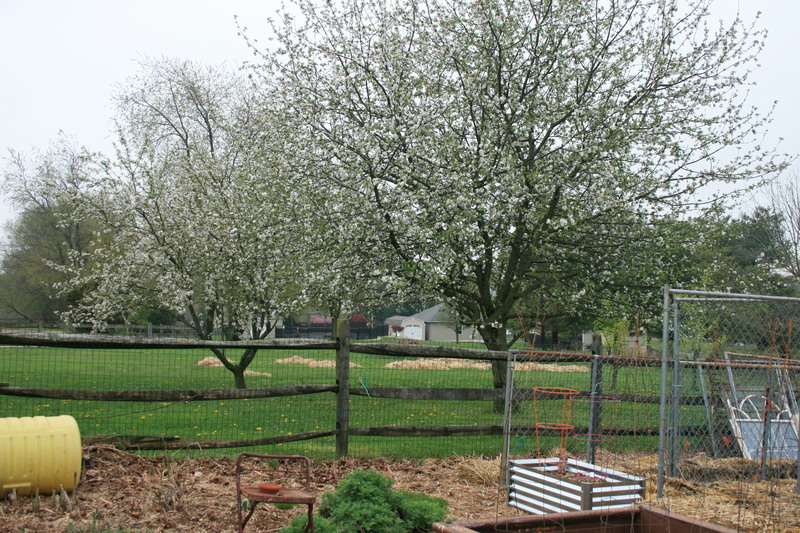 apply horticultural oil sprays to pear and apple trees. Apply oil spray to pears just as the buds begin to swell and then again 10 days later to control pear psylla and pear leaf blister mite. Make a single application of oil on apple trees when a half-inch of green tissue is visible in developing buds. All of these chores are ones that should be done early in Spring and with all that restless energy just looking for an outlet, now is the perfect time to get the tools, and your gloves and get outdoors. How To – Onion Planting Time! It’s time to get the onion sets in the ground! As usual, I over-ordered. 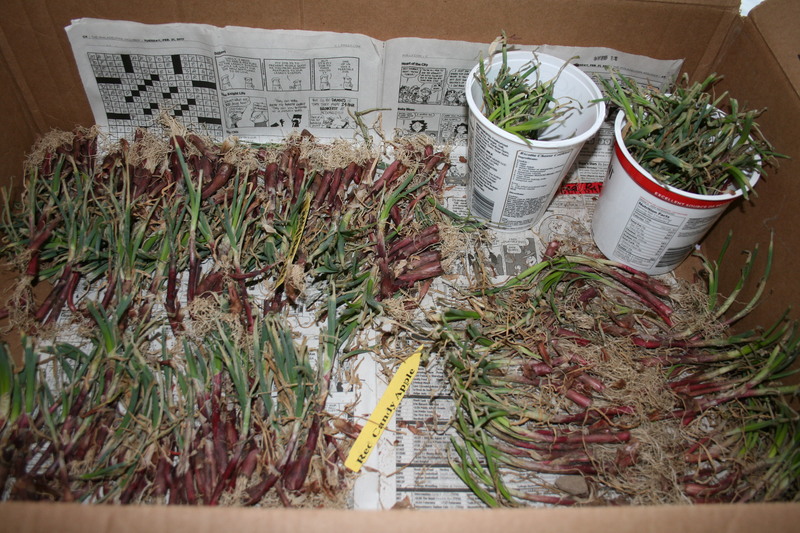 I got 150 onion plants, delivered from Dixondale Farms on Wednesday – 100 Red Candy Apple and 50 Red River! As usual, it is raining on onion planting day, cold, light but steady rain, falling, falling, falling. It will be cold and damp in the garden. My hands will be numb by the time these babies are in the ground but…this is the best time and the best type of weather to put them in the garden. Holes are dug with my compost fork, sets are dropped in, no deeper than an inch and soil is firmed around each one. soil will start its work. 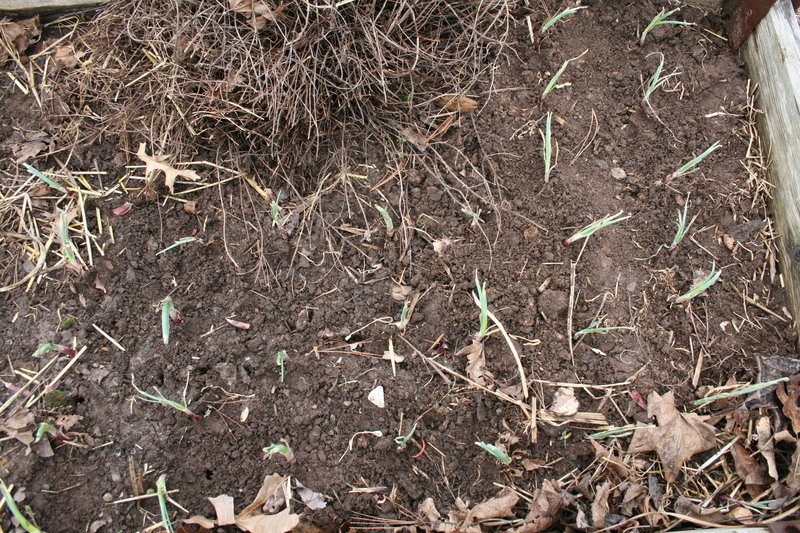 Once planted, onions need a bit of food, every 2 weeks. Mine get homemade fish emulsion from my 55 gallon drum of fertilizer. Then, come June, I will have 150 gorgeous, red globes of onion waiting to be harvested just like these beauties from my 2016 crop. 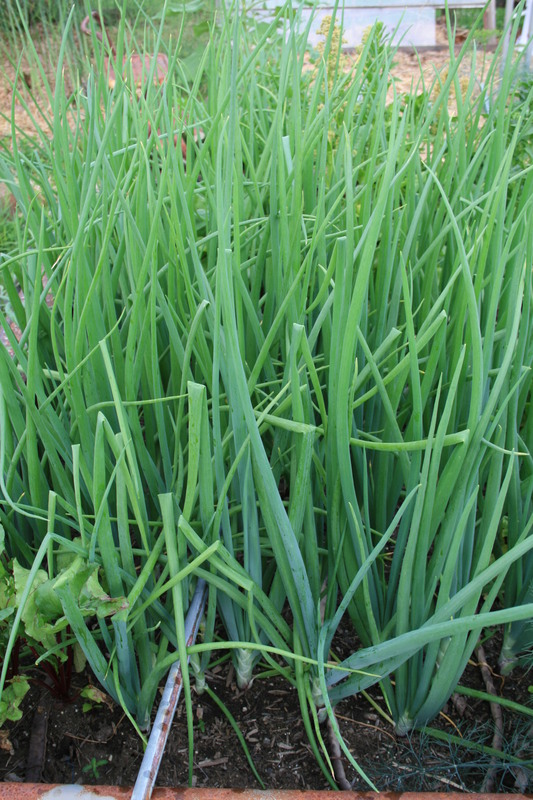 Want more on how to plant and grow onions? Check out my full post with tips and tricks for growing these beautiful additions to your garden!